The DFO said he made the recommendation as the unscientifically mined stone quarries in Karbi Anglong Hills across the UNESCO World Heritage Site were causing damage to the animal corridor. 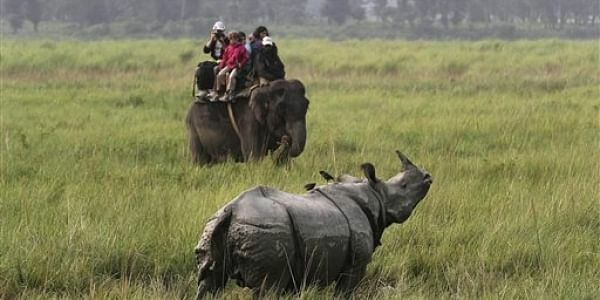 GOLAGHAT/GUWAHATI: The Divisional Forest Officer (DFO) of Eastern Assam Wildlife Division has recommended closure of stone mines adjacent to Kaziranga National Park (KNP) and Tiger Reserve as it is affecting the animal corridors and rivers in the area. DFO Ruhini Ballab Saikia told PTI today that he had made the recommendation in his report submitted this week in response to a query by the Field Director of KNP and Chief Wildlife Warden, Assam following an RTI by state-based wildlife activist Rohit Choudhury. The DFO said he made the recommendation as the unscientifically mined stone quarries in Karbi Anglong Hills across the UNESCO World Heritage Site were causing damage to the animal corridors and affecting their highland shelters on the Hills during monsoon floods. Further, about the adverse impacts of the mines, Saikia said they were also harming the ecology surrounding the National Park and causing heavy siltation of downstream rivers and streams within and outside the Park. There were also complaints from local people about the mining affecting their water resources, the DFO added.